Anyone studying literary or classical Arabic beyond the elementary or tourist level will need this book. 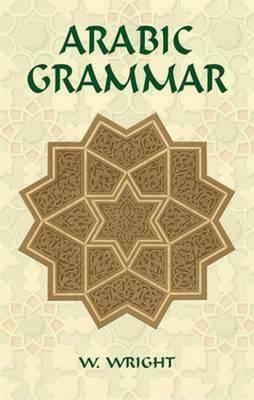 No other English-language grammar of the Arabic language is as thorough as this classic reference. The work was originally published in German in 1844-45 by Karl Paul Caspari, a theologian and orientalist. In 1859 English scholar W. Wright published this masterly translation of Caspari's work, with numerous additions and corrections. Unlike many more recent grammars, this work contains few inaccuracies or errors. Moreover, although it is a reference grammar, it cites many examples of sentences, phrases, and figures of speech found in classical Arabic prose and poetry. Originally published in two volumes, it has been republished here in one volume; however, the original arrangement has been retained. Thus, Volume One covers orthography and orthoëpy, and parts of speech (including extensive coverage of verbs and nouns, numerals and the particles). Volume Two deals with syntax, including the component parts of a sentence, the sentence in general, and different kinds of sentences. A final section discusses prosody. Three indexes assist students in finding words, constructions, and grammatical categories. This third edition incorporates a number of helpful revisions, additions and corrections made to the second edition by W. Robertson Smith and M. J. de Goeje. The result is an unmatched resource for English-speaking students wishing to master the intricacies of Arabic.